This Blazing Fast Electric Car is Powered by Saltwater! 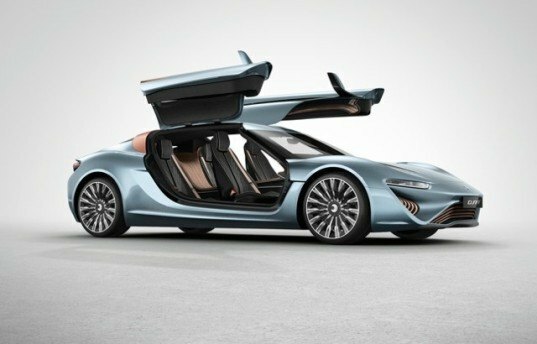 Nanoflowcell has developed the world’s first saltwater-powered electric car – the Quant e-Sportlimousine – it just received approval for testing in Europe! The futuristic gull-winged vehicle runs on a special type of gasoline that is made from salt water, and it’s now street-legal on public roads in Germany. According to Nanoflowcell, the Quant e-Sportlimousine can accelerate from 0-62 mph in a blazing 2.8 seconds and it has a driving range of up to 373 miles. 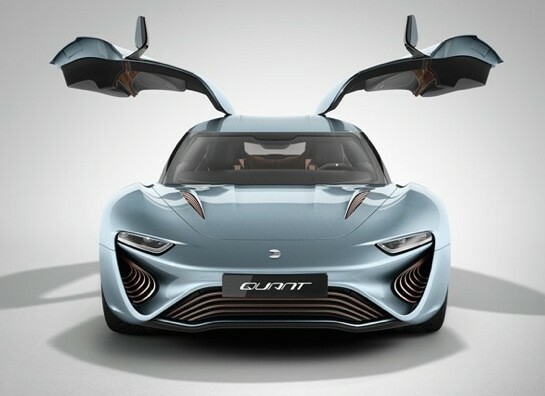 The Quant e-Sportlimousine was originally unveiled earlier this year at the Geneva Motor Show, where it met criticism from skeptics – but now that it’s been approved to drive on public roads, there’s renewed interest in the saltwater-powered vehicle. How does it work? An electrochemical reaction is created by combining two liquids with metallic salts that act as an electrolyte. These solutions are then sent to a fuel cell, creating electricity that is stored in super capacitors and sent to the the Quant e-Sportlimousine’s four electric motors. Nanoflowcell has partnered with Bosch Engineering to further develop the technology, and the company hopes to release at least four more prototypes in the near future. Another distraction. In the meanwhile I will drive my real-world, existing, battery-powerd REAL (JAPANESE) ELECTRIC CAR. OK guys, i'm not an expert, but i enjoy this subject and i have been doing a few reserach lately and this is what i have found. This technology already exists in other cars such as Toyota H2O and other cars powered by electrolysis/hydrolysis. The concept is the same, but they have probably made it more efficient. THERE IS NO BATTERY TO RECHARGE AT ALL, this car depends on fuel-cells to continue runnig, but instead of going to the gas station and add gasoline you will replace used fuel-cells of salted whater by new fuel-cells. You still need to refuel but in a different manner. The electrolysis basically means generate electricity (which powers the eletrical engine) by a chemical reaction and hydrolysis means generate chemical reagents by a eletrical force. In this car, the reaction is electrolysis because you have the fuel, and to generate the fuel you need hydrolysis. Probably this fuel is probably a high density salted water with probably some other enhancements to generate such a efficient electrolysis process. Well there is literally no information here on how this technology works. What is a "special kind of gasoline" supposed to mean? Is this a form of internal combustion? Does it have emissions? What is in these emissions? What kind of power is being used to make this "gasoline"? It's not powered by saltwater. The saltwater is part of the energy storage system which they call the nanoflowcell. These cells need to be charged with electricity from some source. Wonder what the fossil fuel industry is doing to see this never ramps up to commercial production? We could have had alternative fuel vehicles many decades ago if not for their interference to assure their dominance. Nanoflowcell has developed the world's first salt water-powered electric car - the Quant e-Sportlimousine and now it's been approved for testing in Europe.